Eventually, he starts a video chat with a colleague at a university on the other side of the country. (Skype also hadn’t been invented yet in 1987.) 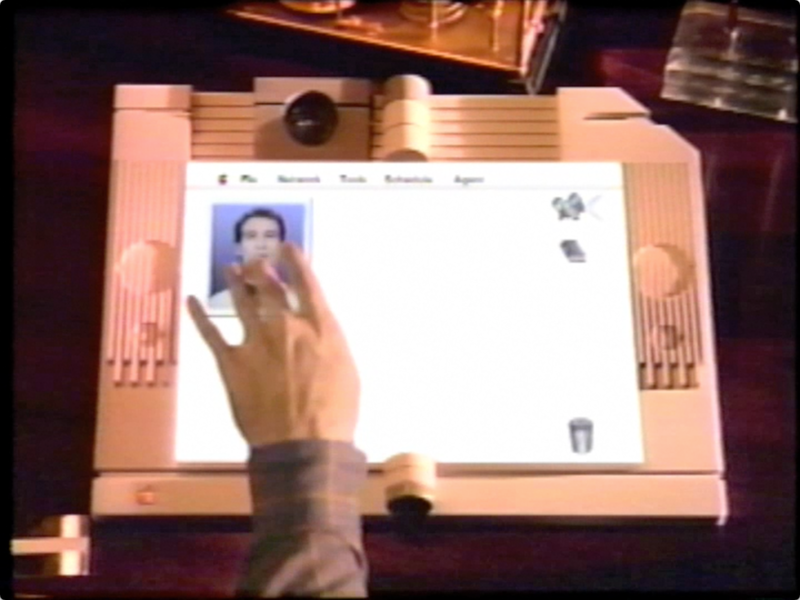 A flat tablet-like computer assists all of this with some sort of talking AI avatar, high-speed internet, and built-in video—none of which was available in 1987. In the Knowledge Navigator video, the professor opens his device and the AI character immediately starts reviewing the professor’s calendar—no delay. In 1987, people only used keyboards and mice. For many people this was the first time they saw a user do sophisticated actions using only voice and touch.